LAS VEGAS, NEVADA — It doesn’t yet have a name (Asus Eee Pad MeMO ME370T) but it does have a price point. 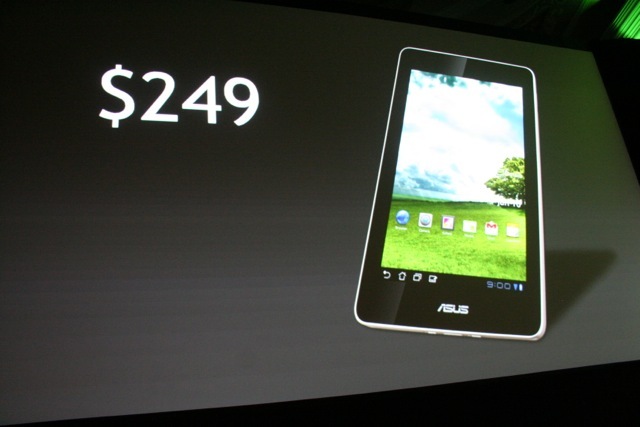 Asus just announced a 7-inch tablet based on NVidia’s quad-core Tegra 3 chip and running Google’s Ice Cream Sandwich. That’s an Android Fire price point but a boatload more horsepower. The Tegra 3 already runs Asus’s Transformer Prime tablet/PC, which is getting good reviews for performance. Asus also announced an Ice Cream Sandwich update for the Transformer Prime, claiming it’s the first tablet to run the latest version of Google’s OS. 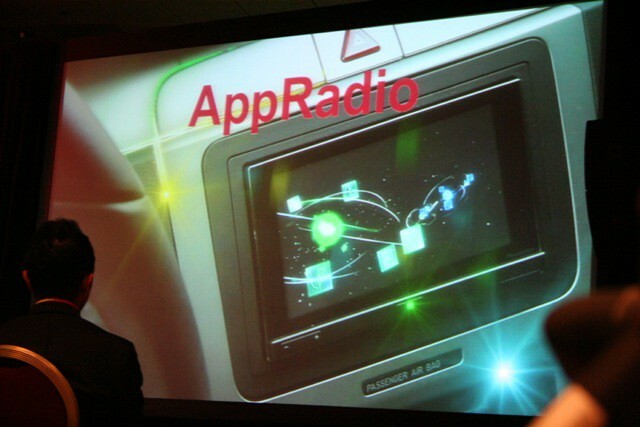 LAS VEGAS, NEVADA – Pioneer has updated it’s well-received AppRadio aftermarket car stereo with support for Android. Pioneer’s new AppRadio2 head unit, announced here at CES, is compatible with a selection of Android phones with HDMI or MHI connectivity. It also supports iPhone 4/4S. The aftermarket stereo promises to be able to run dozens of apps when it ships in the spring, including access to 45,000 internet radio stations. LAS VEGAS, CES 2012 — A few years ago, industry watchers predicted that Apple’s iPhone would fail. They said there’s no way a computer maker could build a good mobile phone. Traditional phone makers like Nokia and Sony Ericsson would bury them. But look what happened to that. The TV industry may be facing a similar tipping point. Lenovo, the Chinese computer giant that purchased IBM’s PC business, is here at CES showing off it’s first television — a 55-inch monster powered by Google’s Android Ice Cream Sandwich that streams content, plays games and a dozen other things besides. It looks pretty slick. It has voice controls, a ton of apps and a big, beautiful screen. Better yet, it’s infinitely configurable. 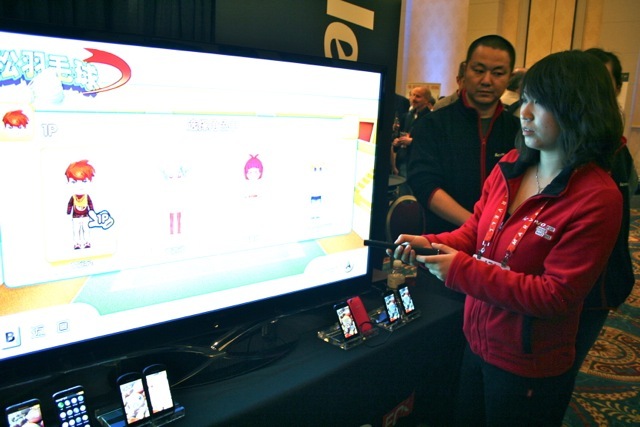 “It’s the computer experience in the living room,” said a Lenovo staffer manning the booth. Sometimes you come across an App so cool you want everyone to know about it and even want to give it away to people you really like. Maybe that App is Angry Birds… Maybe that App is Drawing Pad. 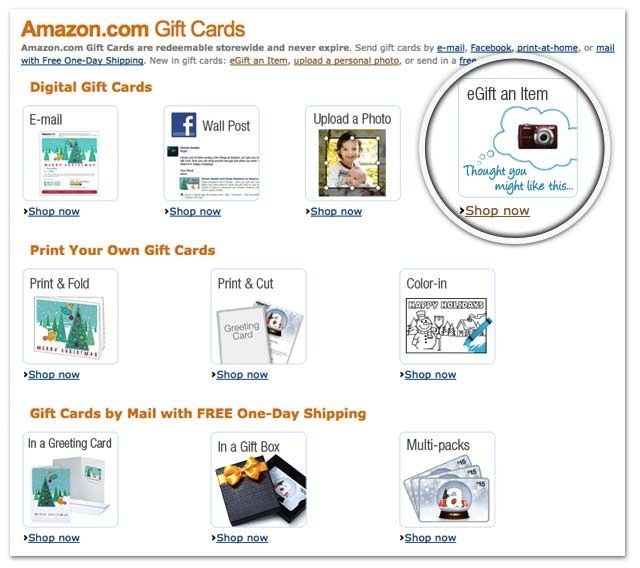 In any regard, here are the instructions on How to Gift an App using the Amazon Appstore. Early reviews of Amazon’s Kindle Fire haven’t been kind, but I like the device. It’s a versatile and enjoyable little media tablet. It doesn’t pretend to be anything it’s not (a general-purpose tab), and though not as polished as Apple’s products, its a good first try. 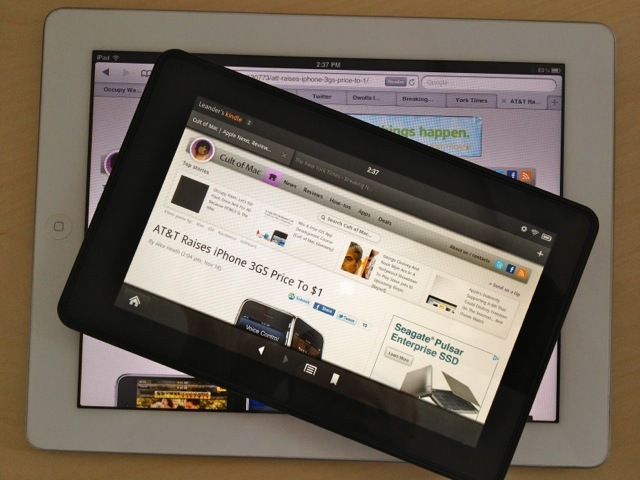 The trouble is that everyone is comparing the Kindle Fire to the iPad, and it will always come up short. The Kindle Fire is actually closer to the iPod touch, but it’s not that either. It’s a well-made, well-designed window into Amazon’s media ecosystem, and on that score, it succeeds very well.